We thought it would be fun to review some of our favorite street foods we encountered in our recent trip to Mexico. You have to start with the ubiquitous fruit and juice carts. They will generally have a variety of cut fruits like mango, watermelon, papaya, pineapple, jicama and sometimes cucumber. Of course, you can have a little salt and chili powder sprinkled on top with a good squeeze of lime. The cart in the photo was located just outside of the main market in Guadalajara. It’s a daily treat. Also, in Guadalajara, you can find Rusas everywhere. Not sure if there is a translation but it’s a cool refreshing drink on a warm day. A squeeze of lime and a dash of chili flake in a cup of Squirt over ice. 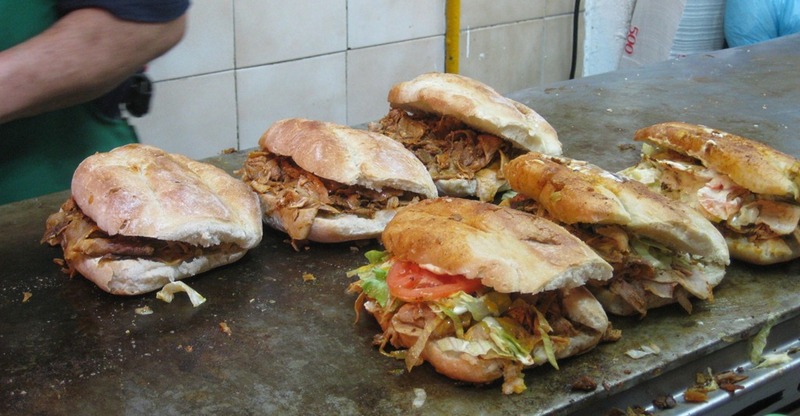 The Torta Ahogado is a staple in this region – a pork sandwich on a crispy hard roll. You then spoon on the chili sauce to suit your taste. The ahogado part means “drowned” (in the sauce). These are being prepared in the market in Guadalajara. We generally don’t eat pork but we were obligated to at least try it out. It’s Mexico. You must have tacos. Yes, it’s cliché but they are so good. The tortillas are super fresh and the flavor in the meat really pops. 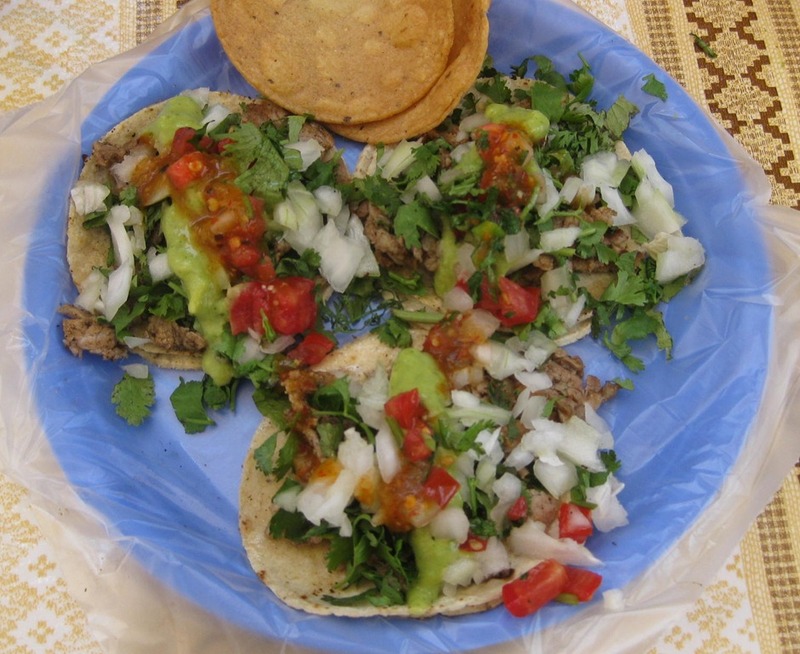 These little beauties were prepared on a little food cart in the town of Tequila, near Guadalajara. 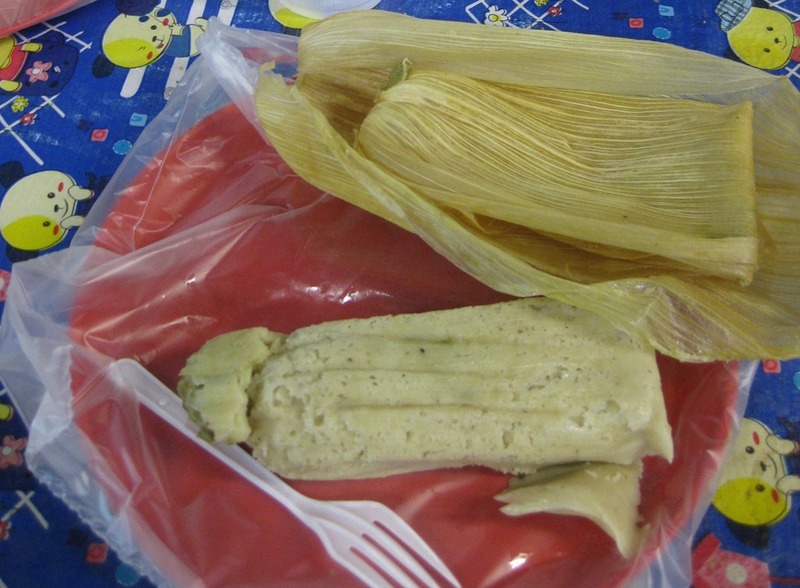 Again, hard to go wrong with the classics like tamales. A little food stand in the market in Guadalajara offered them with a variety of fillings, even “dessert” tamales with pineapple. Fresh and tasty. 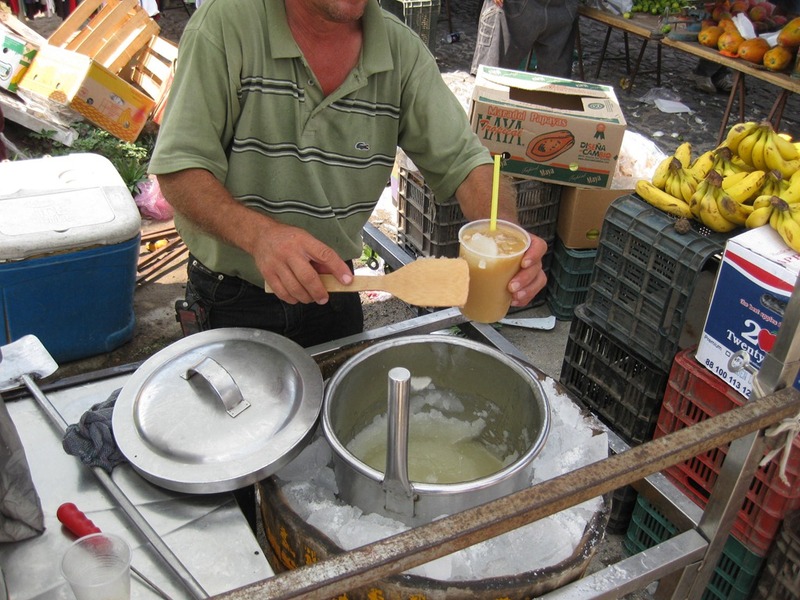 In Chapala, we tried one of the common drinks offered on the street, Tejuino con Nieve. 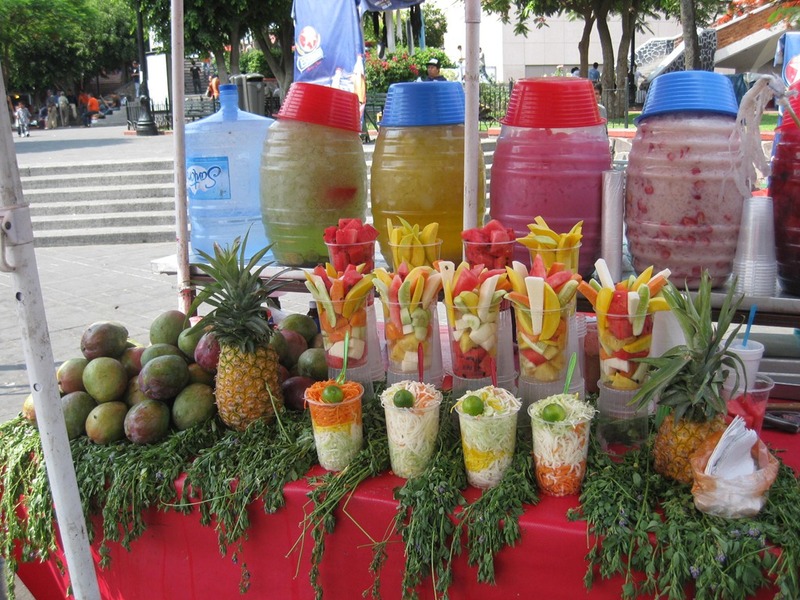 Tejuino is a fermented corn drink to which they add the requisite squeeze of lime and chili flake. You can opt to add the nieve, a sort of mix between ice and ice cream. Not something I would have everyday but it was OK.
Another popular drink is the michalada. You can think of it as a bloody mary using beer in place of vodka. Again, refreshing on a warm day and available from drink carts. Several such carts were located along the lakefront in Chapala so that you could have your michalada while strolling along the malecon or while sitting in the shade near the lake. 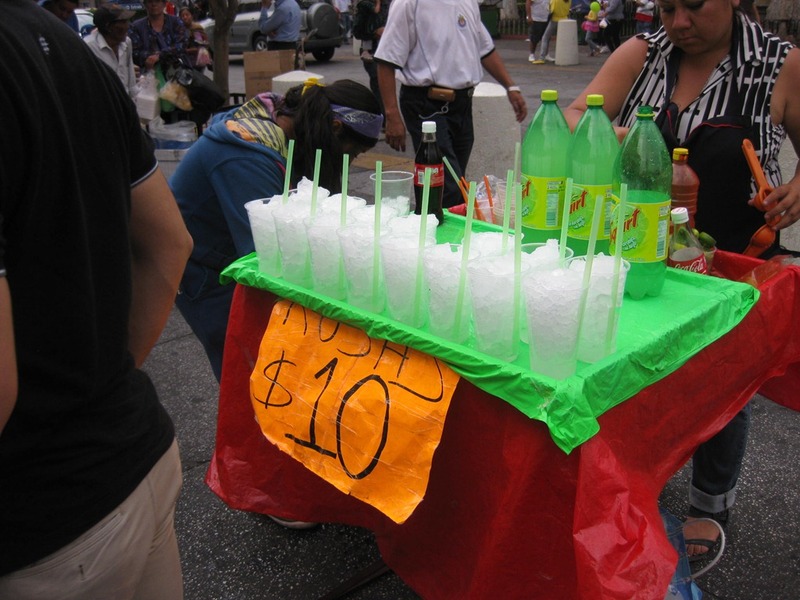 Pictured here is one such cart where we got a michalada. 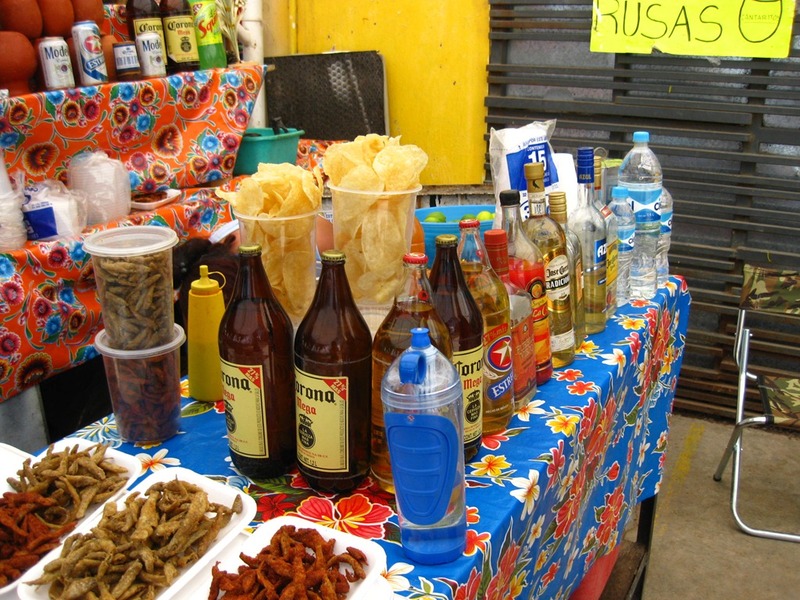 You can see they also have a variety of tequila, beer and little dried fish snacks. 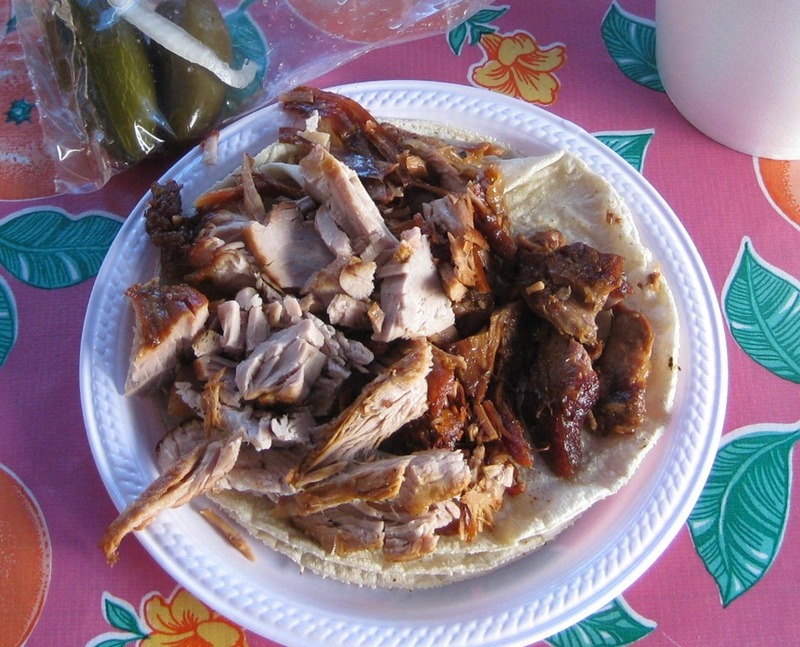 The town of Quiroga is reported to be the capital of carnitas in Mexico. This simply requires that we try them. They were simply delicious, unadorned atop some fresh tortillas with a few jalapeno peppers alongside. Numerous carts offer up their carnitas on the main plaza in town. 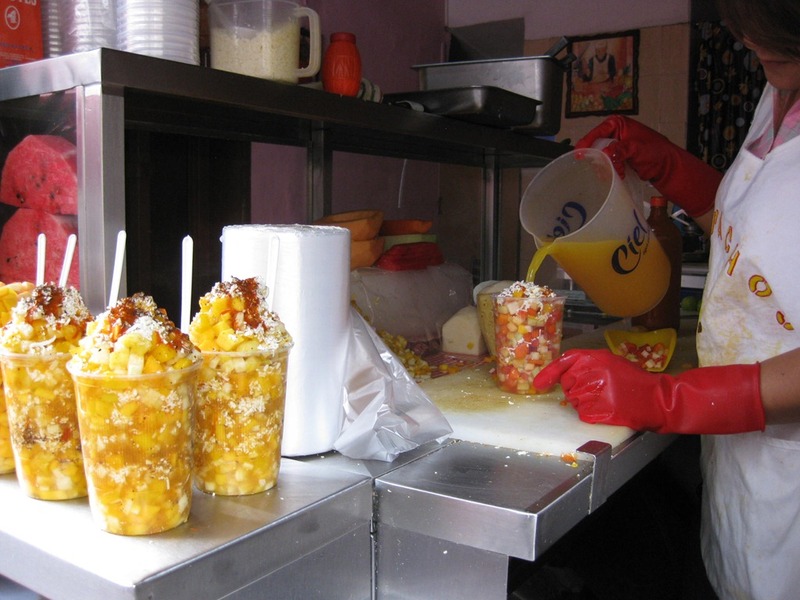 In Morelia you have to try their favorite local snack, gaspachos. Not to be confused with gazpacho, the cold soup, this is a mix of chopped fruits along with your chosen condiments like lime juice, orange juice, chili powder and grated cheese. You can have a mix of pineapple, melon, watermelon and mango in one refreshing snack. In this photo you can see her pouring in the orange juice to finish off our gaspachos. All of the little pizza shops in central Guanajuato have a glass display next to the sidewalk with pizza by the slice. You can walk past them only so many times before you have to stop in to give it a try. 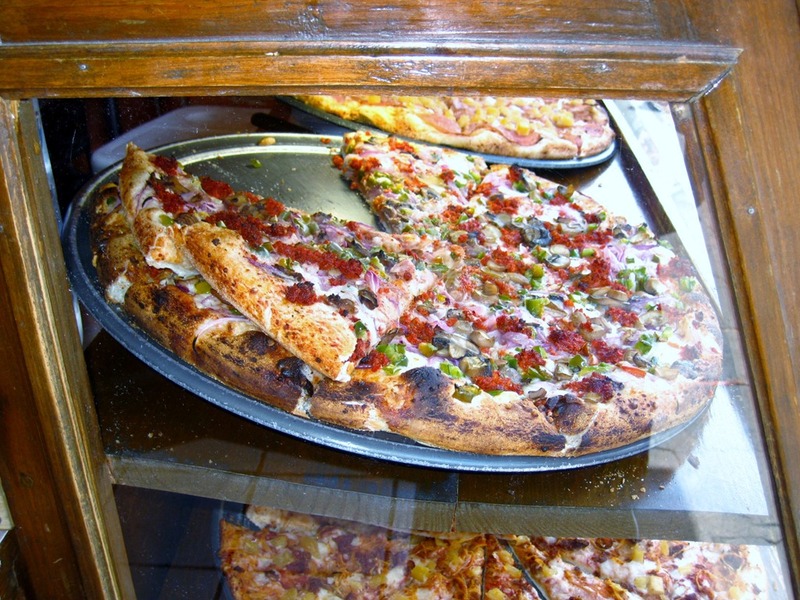 You get a big slice of pizza and a cold beverage for 15 pesos ($1.20). You can’t go wrong. 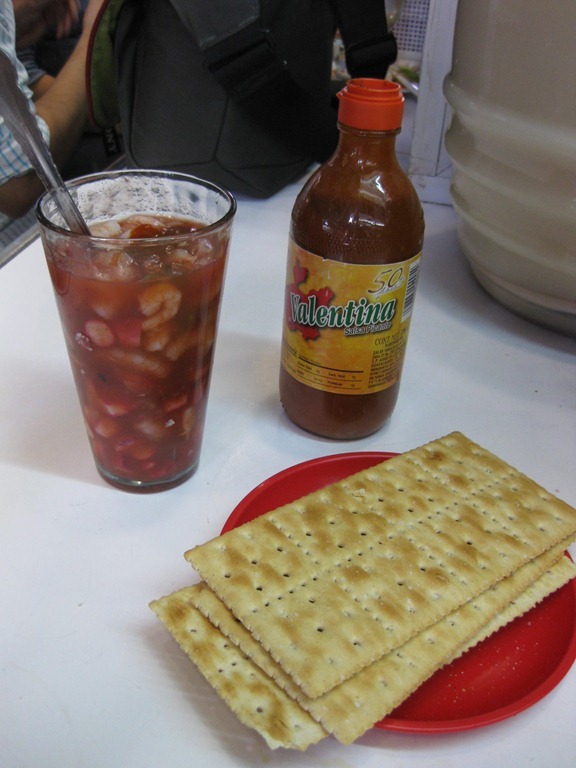 Also in Guanajuato, we frequently visited one of the food stands in the mercado for shrimp and squid ceviche or “coktel de camaron y pulpo”. So refreshing. Pasteleria Ideal doesn’t really qualify as street food, but they have several locations in Mexico City and each is a wonderland of pastries, pies, cakes, cookies and muffins. 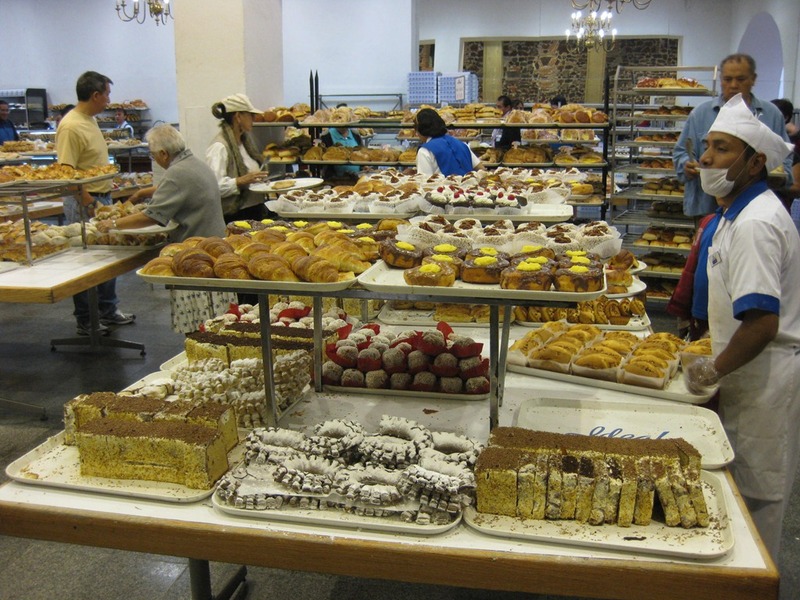 In addition to the massive showroom, there seems to be a constant flow of racks full of pastries rolling out to the sidewalk for loading into a delivery van. We kept going back to sample their products. They were always good and very reasonably priced. In Campeche we tried the local sweet snack that is unique to the Yucatan section of Mexico, marquesitas. It’s kind of like a crispy crepe. 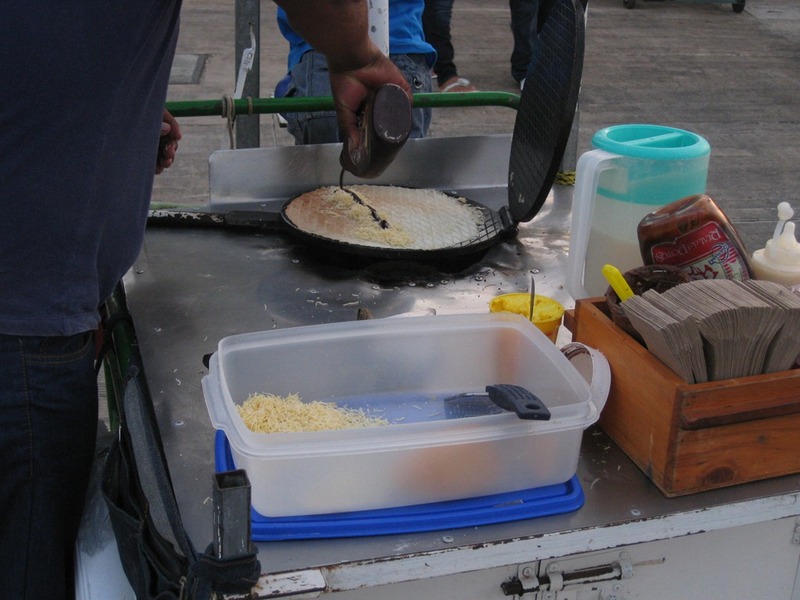 They pour a thin layer of batter on a hot round grill then top it cheese and chocolate or caramel or Nutella. Before it sets completely, they roll it up like a large cigar. Once it cools it becomes crispy. Tasty. Piste is a small town just outside of the west entrance of Chichen Itza. 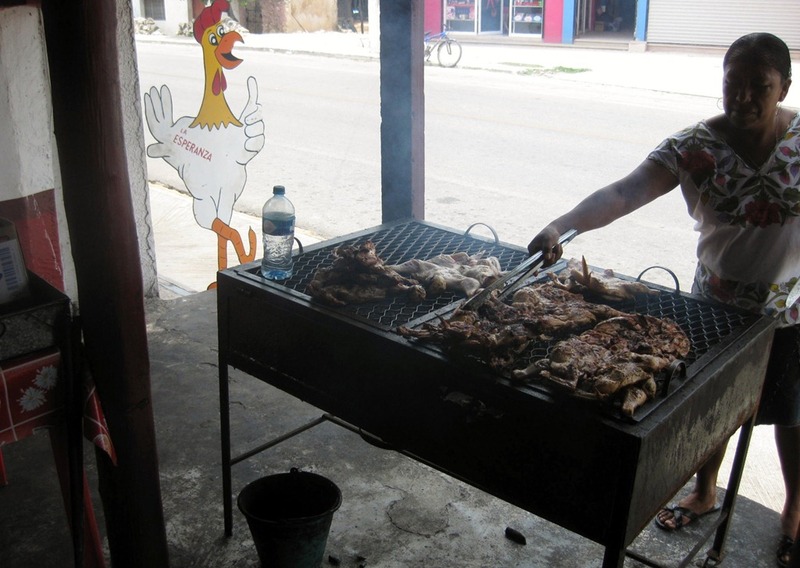 When we got off the bus and walked to our hotel, we passed by a small restaurant with a grill right next to the sidewalk that was loaded with chicken. 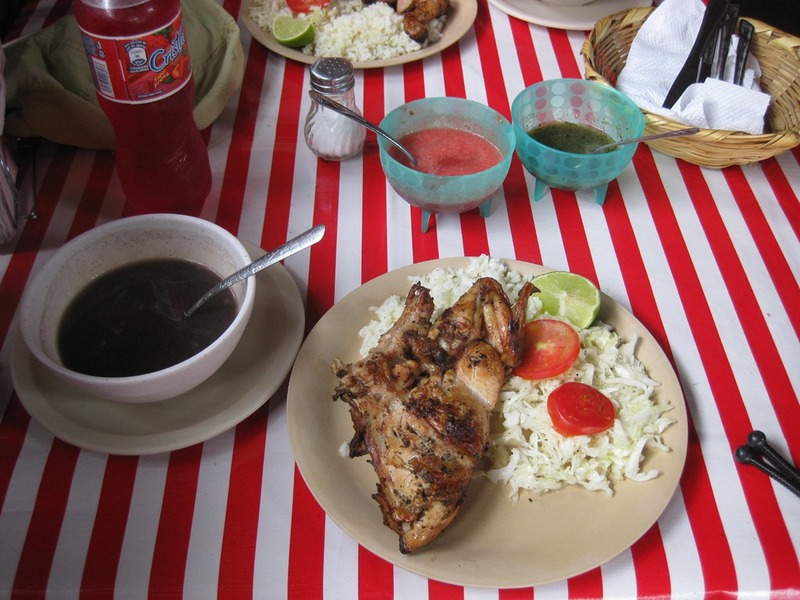 As soon as we got settled into our room we headed directly back to that restaurant and had their terrific grilled chicken. In addition, we returned for lunch on each of the next two days as well. We had two plates with a quarter chicken each with rice, salad, bean soup and a beverage for a total of about $7 for the two of us. YUMMMMM! All looks soooo good! I love pretty food pix and I know that Valerie loves to take them! Wish I had access to all the fruits, veggies, meat and fruity drinks–I would partake every day! Thank you for the follow up Kevin. I did think Valerie must have more food pics and now we have them. You make it sound so good…….. and it is.